Homosassa and Homosassa Springs Florida has a long colorful history as the name evokes. Located right on Florida’s pristine Nature Coast, Homosassa Fl is a northern most extension of the Tampa Bay region. The new Suncoast Parkway has shortened the drive and you can now reach major metropolitan cities such as Tampa, St. Petersburg, and Orlando in under an hour from Homosassa. There are also several historic sites in Homosassa. One popular site is the Yulee Sugar Mill Ruins. Once owned by David Levy Yulee, the park was at one time part of a thriving sugar plantation. The park contains the remnants of the original plantation: a forty-foot limestone masonry chimney, iron gears, and a cane press. There is also a Sugar Mill Historic Memorial. At the height of the mills production it was supplying sugar and molasses to the Confederate soldiers during the Civil War. The Homosassa Springs Wildlife Park is one of the areas most visited attractions. The park is home to many animals that are considered rare in other parts of America. You can see white tail deed, alligators, raccoon, bears, a hippo, and the star attraction, the endangered manatee. Within the Homosassa Springs Wildlife Park there is a glass room that has been submerged beneath the surface to give you a chance to come face-to-face with a manatees and native fish alike. People come from all over the globe to see this graceful mammal. Outdoor enthusiasts thrive here in Homosassa. Not only are there wildlife parks and all sorts of native wildlife, but the fun really begins out on the water . The Gulf of Mexico is never more than a few minutes away. The Gulf offers great deep sea fishing and some very challenging tarpon fishing. In fact the world record tarpon was caught just off the shores of Homosassa. The abundant lakes, rivers, and springs allow local residents to relax and enjoy boating, kayaking, tubing, caneoing, swimming, and fishing. 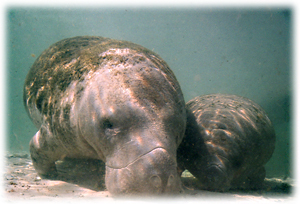 Homosassa and Homosassa Springs Florida is a great place for new families as well as retirees. Outdoor activities abound for all ages and the weather is great all year round. There is plenty of waterfront property still available so give our agents a call today.